Spreadsheets are often dismissed by developers for not being "proper programming" but that is not true. Since I have shown that spreadsheets are Turing complete (http://boingboing.net/2013/09/20/implementing-a-turing-machine.html) you have no excuse to diss them any longer. In this session, I will implement various algorithms in Excel to show you its power and elegance. After all, spreadsheets are 'live' and functional, so they have everything going for them. Furthermore they are very fit for TDD and rapid prototyping. Reasons for attending this talk: * Just as leaning a second natural language is healthy for your brain (http://www.huffingtonpost.com/dan-roitman/your-mind-on-language-how_b_3902184.html) so is leaning multiple programming languages. Thinking about familiar problems like sorting or shortest path in a strange environment like spreadsheet formulas is like a workout for your brain. * Next time you are in need of a quick calculation or prototype, do not have to waste time configuring a server and deploying your code. Surely not for everything, but for some problems, spreadsheets are really suited and this talk will teach you about how to handle those. * Being emerged in the world that many of your colleagues and clients live and breath will make it easier to understand them. Don't fight spreadsheets any longer, but learn to love them. Felienne is a professor and an entrepreneur in the field of spreadsheets. 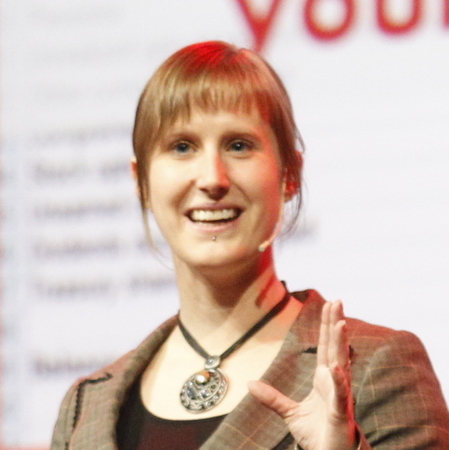 Her PhD thesis which she defended in early 2013, centers on transferring techniques from software engineering, like testing and refactoring, to the world of spreadsheets. In 2010 Felienne founded Infotron, a start up that uses the algorithms she developed during her PhD project to help companies like KLM and ING bank to improve the quality of their spreadsheets. In her spare time, Felienne volunteers as a referee for the First Lego League, a world wide technology competition for kids.